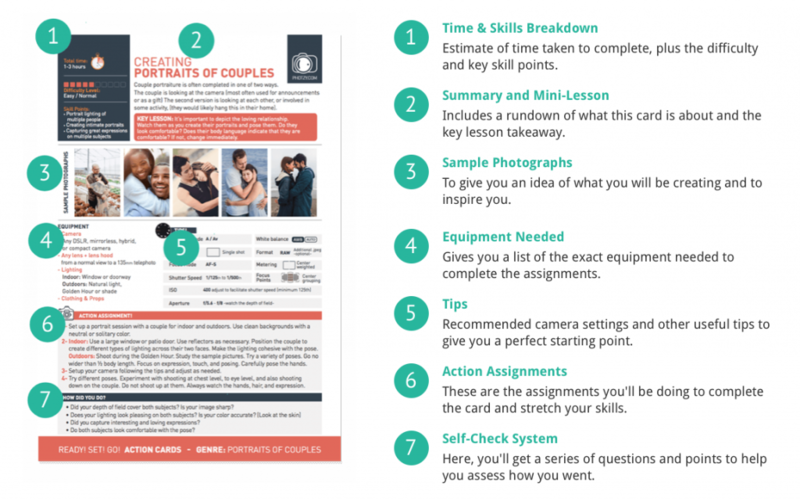 ATTENTION: Aspiring Photographers Looking for an Easier Way to Learn! 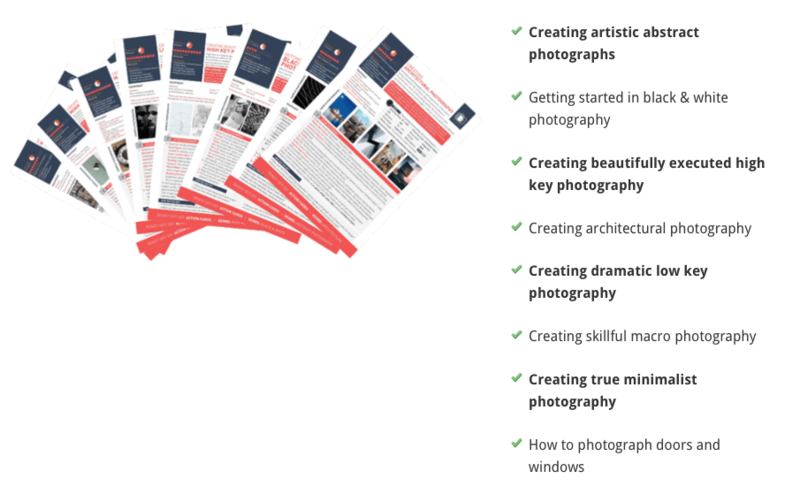 The guaranteed fastest way to ‘expand’ your shooting skills and master photography. 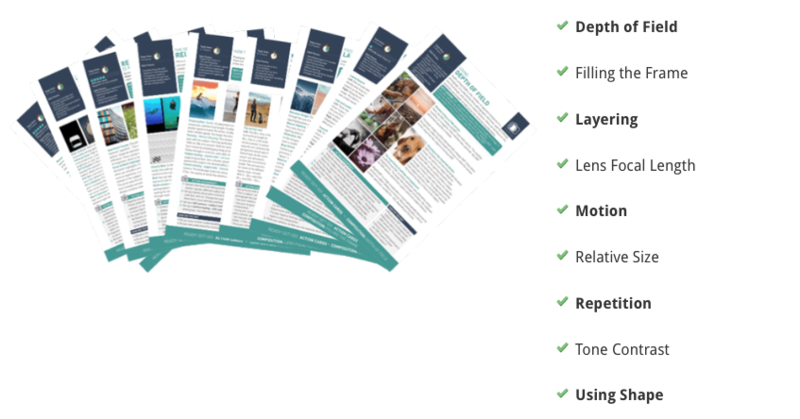 Features 65 printable project sheets, with over 200 photography assignments to expand your shooting skills. 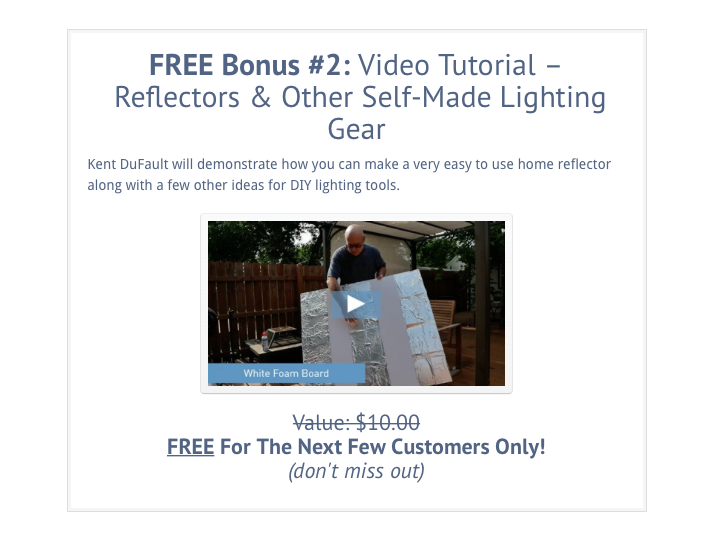 Includes FREE Bonus Action Cards Lesson Plan and Video Tutorial – Reflectors & Other Self-Made Lighting Gear. For a limited time only – grab this awesome SnapnDeal before it’s gone! You want to be out shooting pictures! What is that one way? 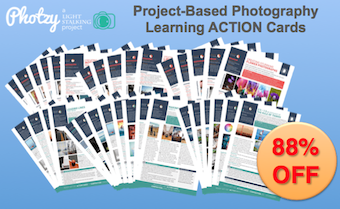 Introducing… ACTION Cards: 65 printable project sheets, with over 200 photography assignments to expand your shooting skills! They’ll kick you out of the “nest” to go have a personal discovery experience all on your own. You can learn new skills, unearth your particular shooting style, and accomplish all of this through completing actionable assignments similar to a full-fledged UNIVERSITY course. You’ll be out shooting instead of reading about it. Think about this- isn’t that what University is all about, to help you find your path in life? Right now you have the opportunity to choose your path… rather than be led down one. 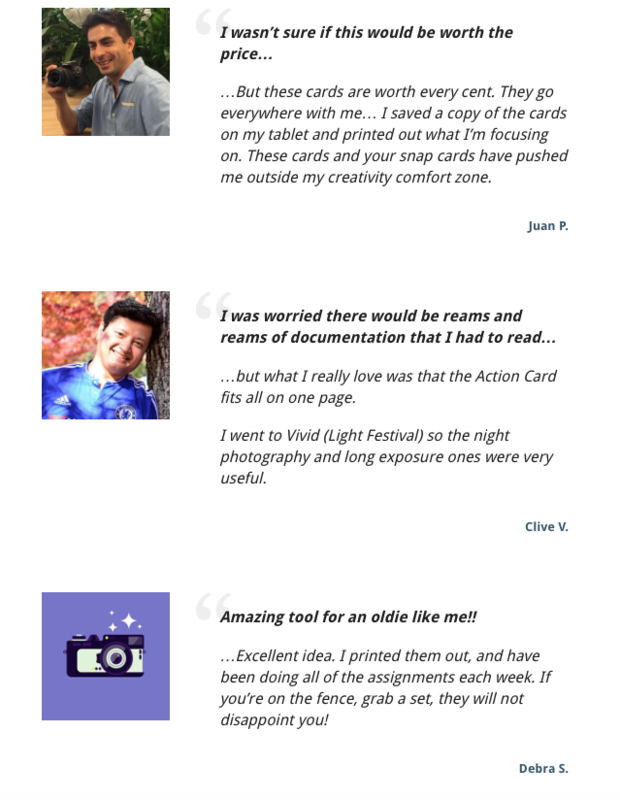 While the Action Cards were designed to work together as a whole, each card, and each set within the group, were designed to help you strengthen and discover certain photographic skills. The 31 ‘Genre’ Action Cards were conceived to help you uncover your ‘place’ in the photographic world. There is a myriad of opportunity for you to use your photographic skills. But perhaps your natural born tendencies reveal themselves better through outstanding flower photography versus newborn portrait photography. 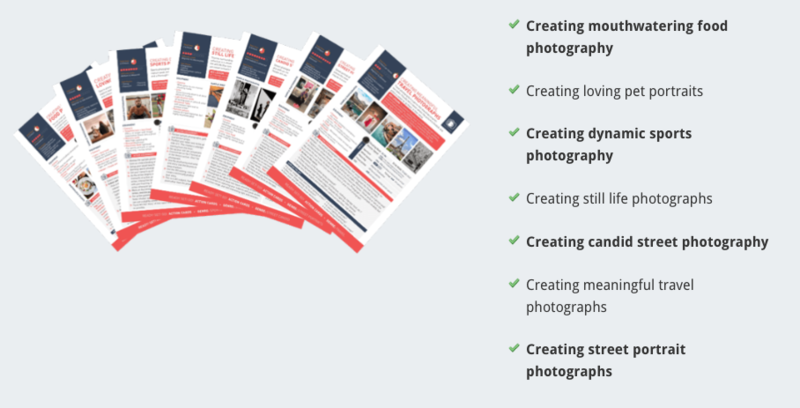 The genre cards allow you to test the waters for 31 different genres of photographic imaging- by completing specific tasks and photo assignments in each genre. We all have strengths. Playing to our strengths can give us an edge as we attempt to position ourselves within the photographic community. 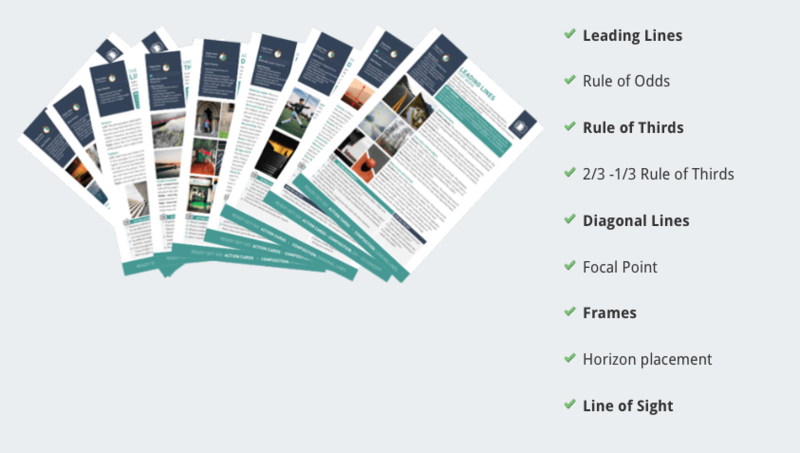 The 34 Composition Action Cards will give you a complete understanding of the various rules, tools, and concepts of composition. Through assignment based learning, this approach will also help you to discover, which of these composition tools works best for you and your shooting style. Just as we all ‘see’ differently- we also all work differently. Now is your chance to discover which composition tools fit your style. 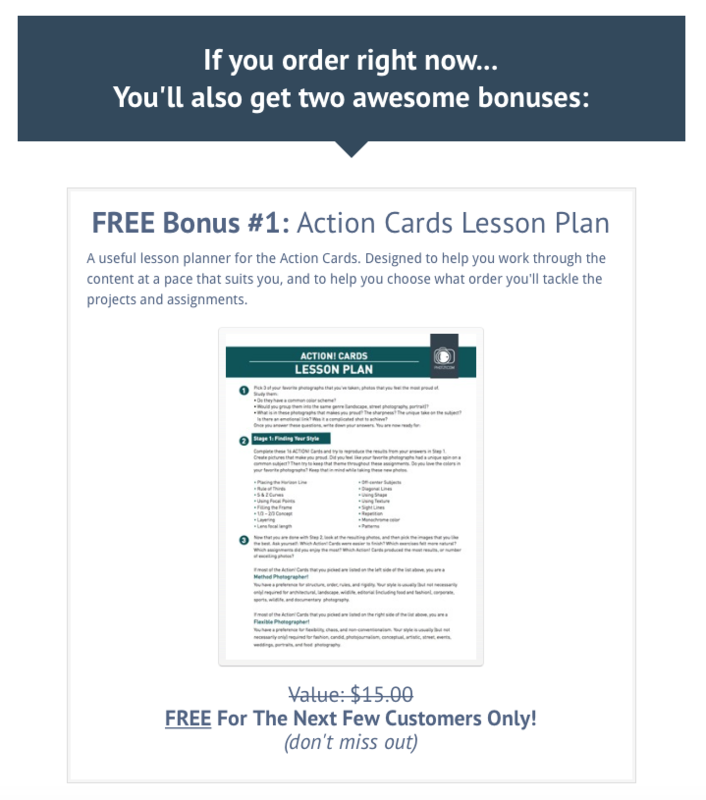 The Action Cards address learning from a different point of view, and one that is guaranteed to work for you. Here are the facts – Retention, through reading, is low. Retention through active learning is very high! With these Action Cards photographic concepts, which you may have had struggled with for years, will suddenly become crystal clear! Be honest – How many times have you downloaded a guide and never actually read it? We’ve found that printing materials ensures you actually go on to read the content. Simply put– if you print it out, you are far more likely to take ACTION, and get RESULTS. That’s important to us. This is why we’ve developed the Action Cards to be concise and organised, print out only what you need, when you need it. Spend more time shooting, and less time reading!